I've said it many times and I will say it many more, the best that beer has given me is the possibility of meeting a lot of great people. People from all walks of life and quite a few countries, people whom most likely I would have never met if it hadn't been for our common interest in beer. Some of them went on to become friends in the pre-facebook sense of the word. 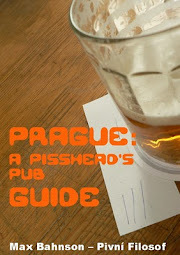 One of those people is Evan Rail, author of The Good Beer Guide: Prague and the Czech Republic and many articles about travel, food and beer published in places like The New York Times. Evan has just published a new work, Why Beer Matters, a 20 page essay that should be mandatory reading for anyone with at least a passing interest in beer. The essay is only available for Kindle and I greatly thank Evan for having sent me a pdf version. Let me tell you this, I don't quite like reading such long texts sitting in front of my PC, but this one got me sticked to my chair as a good thriller. The question on the cover not only is clearly answered, but in order to reach that answer the essay deals with several other interesting topics. Evan might not be a wine expert, but he does know about fermented grape juice a lot more than most beer writers and lovers, thanks to that he's able to explain why beer hasn't got "terroir" (much better than me, I should say), why is better value than wine or why the beer world is more democratic than the wine's. It also makes clear why beer is "just beer", but at the same time much more than "just beer" (as shown by the heated debates over the Oxford Companion to Beer or the "cask vs. keg" thing). The almost casual mention of the relationship between the so-called "craft beer" and the internet made me think once again about something I've been saying for quite some time, that beer, more than any other product, has been a sort of mirror of the evolution of our civilisation and society. The micro brewing boom that is taking place in many countries isn't something casual or disconnected, it's closely linked both to the rediscovery by an increasing number of people of the "local", the "fresh", the "ours" or even the "traditional" and to how easy it is today to exchange ideas and information almost without any kind of borders (much to the chagrin of the likes of Alan Brewer). I wish Evan had talked a bit more about that, because it is also one of the reasons why beer matters. 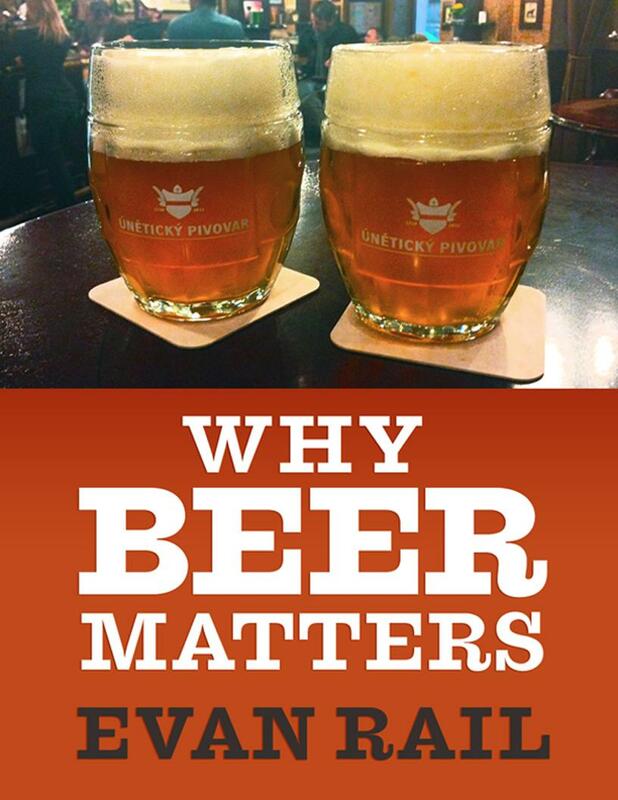 And why beer matters to me? Just as I said at the opening of this rant, because of the people. You see, this could have easily been a blog about several other subjects, travel, restaurants, wine or even the adventures of an Argentine living the Czech Rep. Regardless of how good or not they could have been I'm sure they wouldn't have given me the chance of meeting so many people. Today I can ring one of the most respected Brew Masters in the country so I could do a favour to someone I know who's about to publish and important book, or simply drop by for a chat with another one. Then there's my embryonic journalist career. After just a handful of years of beer blogging I've published articles in magazines from three countries and you'll soon be able to read my stuff in another place. Would I have achieved this writing about food and wine? I doubt it greatly. This is nothing but proof that Evan is right when he talks about how inclusive and democratic beer and its world are. 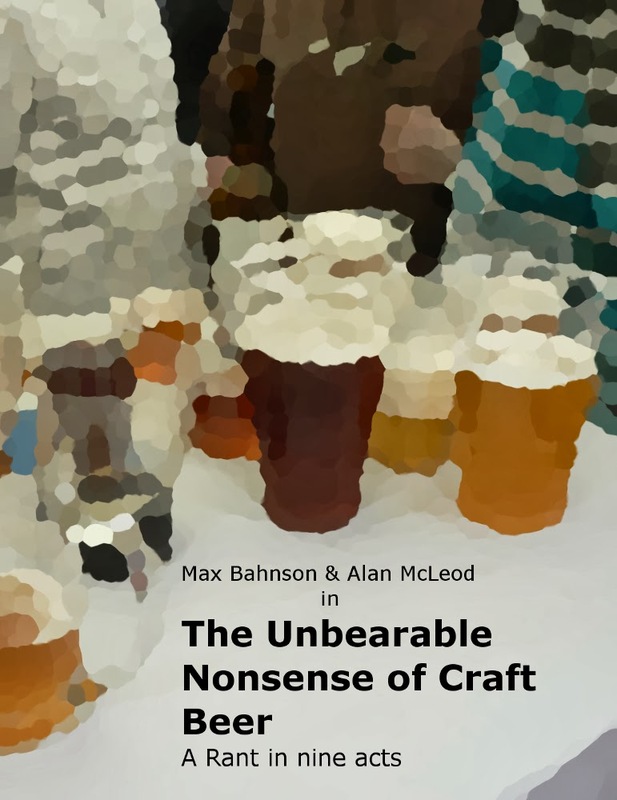 Whatever the reason why beer matters to you, read this work, think about what it says and meditate again about why beer does matter.